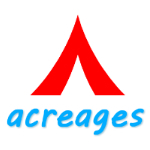 Acreages Inc. a well-known name in Maharashtra’s real estate Second Home segment. Driven by a Highly Skilled Professionals with extensive experience and Complete Customer Satisfaction. We take complete Responsibility, Ownership and Accountability to make hassle free transaction of our precious customers. For the same we believe to maintain Transparency and Flexibility in transactions with our customers.